Breakfast is a very special meal here at Kilmaneen Farmhouse. Our 200 year old farmhouse which was renovated in 1992, combines the solid comfort of the past with the modern conveniences of today. The house is set in 2 acres of garden which has many unusual varieties of shrubs and trees. We offer our guests a very personal service in a genuine Irish home. When our guests first arrive at Kilmaneen Farmhouse they are offered a welcoming cup of tea which is served with some cake or scones or apple tart or whatever has been freshly baked that day. Budget Room 1 has a double bed and en-suite shower room. 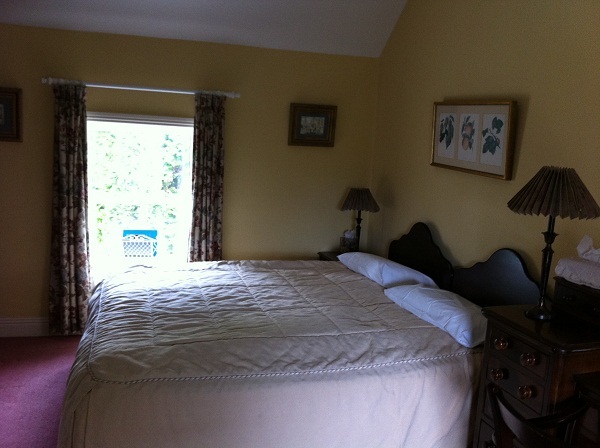 Double Room 3 has either a 2m double bed or 2 single beds (zip and link) and an en-suite shower room. 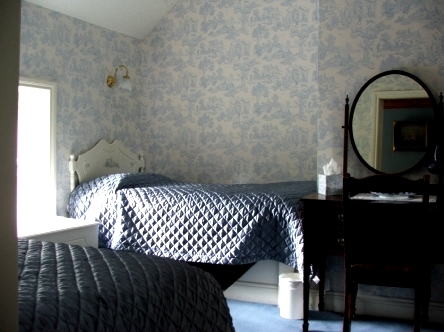 All our bedrooms are decorated and furnished in a style to suit the age of the house. You are assured a great night's sleep in these comfortable rooms with their old, thick walls and high, sloping ceilings - you won't hear a sound! 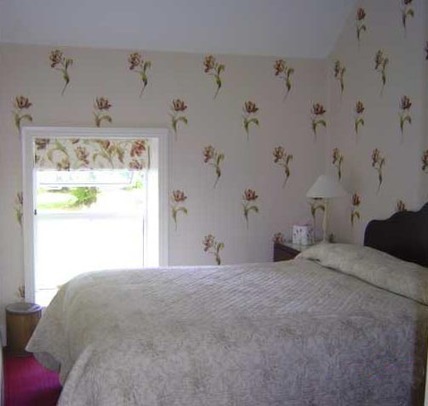 Our three bedrooms overlook the large front garden with the Knockmealdown mountains in the background. All rooms have tea/coffee making facilities, hair driers and clock-radios. Some have televisions. Crisp, white bed-linen and fluffy white towels provide a high level of comfort. Budget room 1. 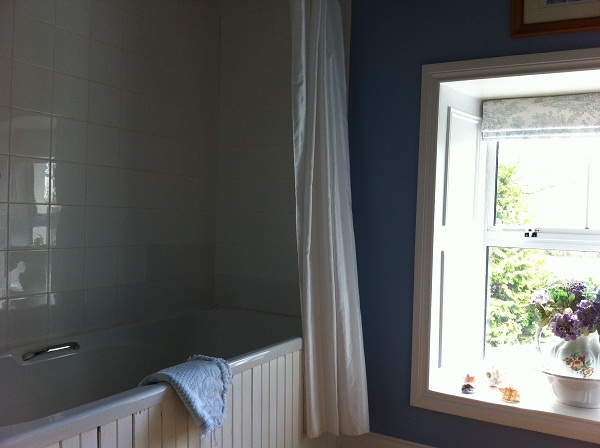 A cosy double with en-suite shower room and front garden view. Also let as a single room.